Pro-Line Lowers Pricing on Kits « Big Squid RC – RC Car and Truck News, Reviews, Videos, and More! 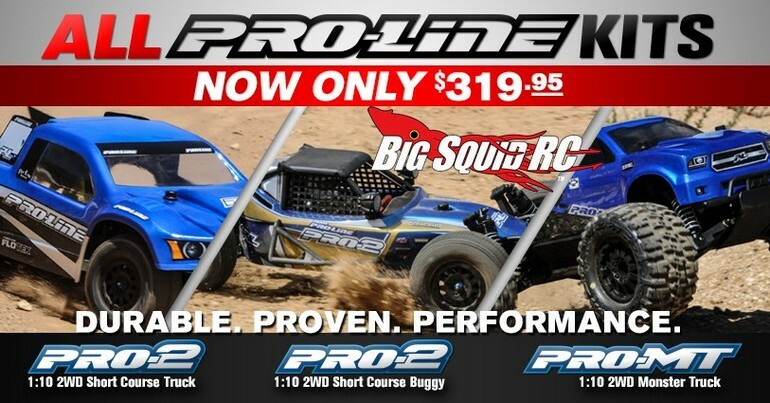 Here is some great news for you bashers looking to save some cash, Pro-Line has announced lower pricing on their PRO-2 SC Truck, PRO-2 SC Buggy, and PRO-MT kits. All three are loaded with trick parts and have developed a reputation as being incredible bash machines (with the PRO-MT being our Bash Vehicle of the Year in 2014). $319 is the official street pricing on all three kits, making them a better value than ever. You can hit up This Link to view the official announcement over on Pro-Line’s website, or you can check out This Link for more P-L news right here on BigSquidRC.